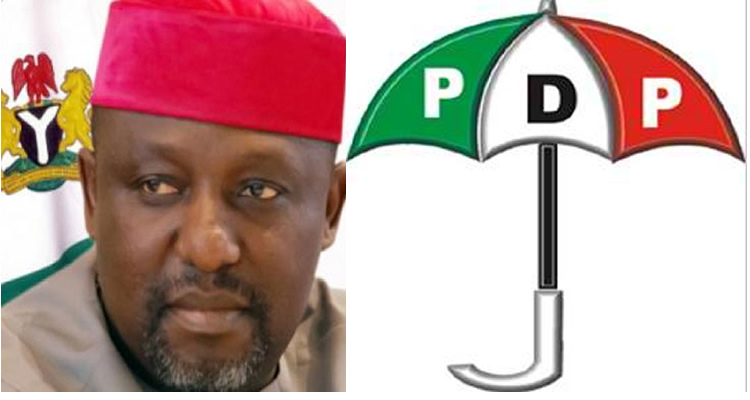 The leadership of the state chapter of the People’s Democratic Party has restated that the outgoing governor, Rochas Okorocha is allegedly pillaging the state ahead of the expiration of his tenure on May 29, 2019. According to him, “we are to substantiate the allegation which we made last week that the out-going Governor Rochas Okorocha has been selling off the properties of the state. A circular from the Cabinet Office and signed by Mrs Ukaigwe Julia showed that Governor Rochas Okorocha approved the appointment of a traditional ruler from Orlu as the auctioneer for 71 government-owned vehicles which including Toyota Hilux, Prado Jeeps, heavy-duty trucks, bitumen tankers, CAT payloaders, Toyota Camry, Toyota Corolla, Nissan Armada and Toyota land Cruisers.